Starve and Immolate: The Politics of Human Weapons. Columbia University Press, September 2014. It is with great excitement that I am joining the History of Consciousness Department. I am looking forward to meeting you, learning from you, and working with you. Since I will be starting in January 2018, I want to take this opportunity to welcome the wonderful new cohort and to wish the existing History of Consciousness community a productive, exciting, and stimulating new academic year. I would also like to introduce myself to those of you I haven’t yet met. I see my work as situated at the intersection of philosophy, politics, history, and political anthropology. My main area ofspecialization is political theory, especially modern and contemporary political thought and critical theory (broadly construed). 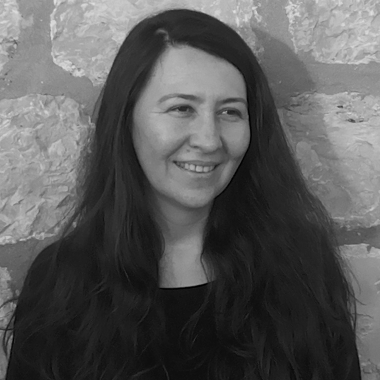 I have worked on theories of sovereignty and subjectivity, biopolitics and the political use of the body, violence and sacrifice, resistance and revolution. Methodologically, I am interested in bringing together political theorization with empirical research, especially ethnographic and historical, pursuing research strategies that are trans-disciplinary and hybrid. Political questions often guide my work and I am deeply motivated by engaging with the voices and resistance practices of those in the margins of the political sphere, like political prisoners in Turkey’s prisons, refugees stuck in the border zones of the European Union or voluntary human shields in the Middle East, as my interlocutors and the interlocutors of the “canonical” thinkers of politics and philosophers. 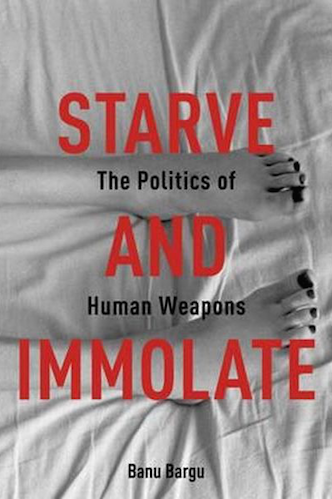 My first book, Starve and Immolate: The Politics of Human Weapons (Columbia University Press, 2014), explored the use of the body in self-destructive protest in the specific context of Turkish prisons through the ethnography of a radical movement. On the one hand, the book sought to bring into view a dark archive of Turkish democracy and the treatment of dissent in a country where prisons have become sites of political confrontation. On the other hand, utilizing the in-depth study of the Death Fast Struggle, the book sought to theorize the voluntary, protracted, and strategic deployment of self-destructive practices around the globe, practices which I have called the weaponization of life, as an emergent repertoire of political action. I am currently continuing this line of investigation by examining different modalities of corporeal counter-politics and processes of subjectivation, focusing on the uses of the body in different political struggles and their implications. At the same time, I am working on a very different kind of book, a monograph on rethinking the materialist tradition and the question of revolutionary subjectivity, especially in light of the posthumous publication of Louis Althusser’s late work on the aleatory. In this work, I am pursuing the promise of a different philosophical materialism that Althusser saw in figures like Epicurus, Machiavelli, Spinoza, Hobbes, Rousseau, and Marx, and certain insights of Wittgenstein, Heidegger, Derrida, and Deleuze. Reconstructing Althusser’s quest for a new philosophical grounding that is suitable and generative for a revolutionary politics of the global Left from the scant fragments he left behind, I am building on his insights of the need to sever Marxist materialism from its teleological and Occidentalist premises, forcefully reflected in its philosophy of history, in order to move beyond Althusser toward developing a proposal for an aleatory materialism that can be harnessed toward thinking and acting globally today. I am really thrilled to be joining History of Consciousness, and I look forward to pursuing these and many other questions and themes in conversation with you.